Give your 1/16 E-Revo VXL competition style and track ready performance! Traxxas' new dish wheels and Response Pro tires are engineered for competition grade traction and superior grip in all off-road conditions. Patterned after the Revo 3.3 Platinum Edition's race-winning tire design, the new 2.2' Response Pro tires are molded in soft S1-compound for maximum grip and feature a versatile micro-block tread that offers superior handling. Foam inserts are included, and the Response Pro tires are available unmounted in pairs, or factory-mounted and glued to new 2.2 dish wheels. In addition to providing a sleek look, the dish wheels increase the E-Revo's overall width by 14mm for even greater straight-line stability and cornering agility. Standard-size 12mm hexes allow Traxxas 2.2” dish wheels to be used with many 1/10 scale buggies as well. 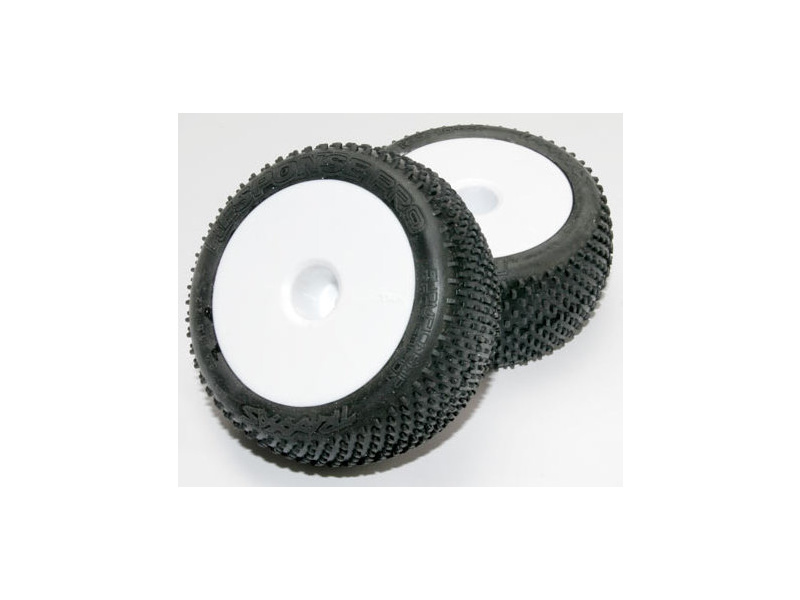 The dish wheels accept all popular 2.2' buggy tires, including Traxxas Alias 2.2” tires.